AdvancED is the largest community of education professionals in the world. They are a non-profit, non-partisan organization that conducts rigorous, on-site reviews of a variety of educational institutions and systems to ensure that all learners realize their full potential. Their commitment is to help institutions continuously improve. 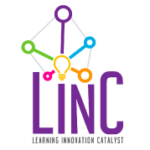 Learning Innovation Catalyst (LINC) helps schools and teachers achieve real transformation. Through consultancy, professional development, and blended learning implementation, LINC assists school leaders in establishing cultures of generativity — continuous learning and growth through self and shared reflection and iteration. As generative learners themselves, teachers and leaders become the catalysts for facilitating personalized learning and empowering student agency in 21st century classrooms. The Tri-Association is a non-profit organization whose mission is to improve on the quality of teaching and learning opportunities for schools in the region by organizing staff development opportunities that will expose teachers and administrators to best practice educational trends and methodologies, to provide an avenue for communication and cooperation among member institutions, and facilitate cooperation with national, state. local and non-government agencies in field of international education. The Association of Colombian-Caribbean American Schools (ACCAS) is one of the three regional associations affiliated with the Tri-Association. Its membership of 21 schools supports the continuation of an American education in the Caribbean region and Colombia. The organization’s focus is on school improvement, encouraging an ongoing program of staff development and teacher and student interactions. New members must be either US-accredited institutions or candidates for accreditation.